meet our Family of Healthcare Companies! Our mission is to positively impact the lives of children and the communities we serve! Pediatric Therapy, LLC d/b/a The Stepping Stones Group, LLC (SSG) is a family of healthcare companies which includes; Cumberland, MyTherapyCompany, AlphaVista, Staffing Options & Solutions, Cobb Pediatric, and The Perfect Playground. We provide therapeutic behavioral health services to a variety of public school districts and private learning centers. We employ over 1,300 special educators & clinicians to school districts nationwide. With over 30 years of experience in schools, your success is our top priority. We are a top-five national provider of school-based therapy services in over 30 states, and an on-going awardee of Inc. 5000. Founded in 1989, Cumberland Therapy Services, LLC (CTS) specializes in healthcare in more than 20 states across the country. CTS understands that it is essential for our clinicians to be knowledgeable about current trends and changes in education. Our team works hard to provide clinicians with information regarding Common Core Standards and best practices relating to special education and how that impacts the way they provide services in schools. MyTherapyCompany, LLC (MTC) has been providing specialized services to schools and home-based early intervention children since 1989. Founded by one of the SSG board members with over 30+ years of experience, MTC focuses on the school market using a managed therapy and employment model. MTC is one of the largest Non-Public Agencies “NPAs” in the state of California through our combined healthcare companies (AV, SOS and CPT). AlphaVista, INC (AV) is one of California's leading special education providers to schools and clinics in Northern California. AV partners with some of the largest schools to deliver special education services to children from K-12. AlphaVista created SmartEdTech, a tablet-based program that helps therapists deliver and track special education programs. Using SmartEdTech, therapists can integrate their programs and activities into a school’s existing system. AV is also one of the largest "NPAs" in the state through our combined healthcare companies (MTC, SOS and CPT). 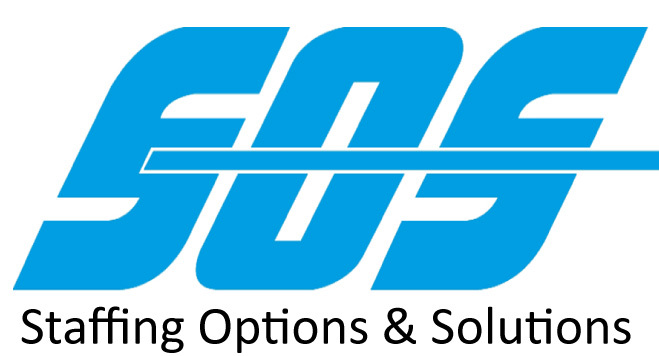 Staffing Options and Solutions, LLC (SOS) became an independent company in 1994 and has evolved into a large multi-state contract company that primarily provides ongoing contract therapy services to schools. SOS understands and knows how to support the unique balance between the needs of client schools, the career interests of employees and the needs of the individuals who receive therapy. Founded in 2003, The Perfect Playground has been providing a range of therapy services to over 5,500 children per week, including occupational therapy, physical therapy, and speech-language pathology, to school systems throughout the 5 boroughs of New York City (Staten Island, Brooklyn, Bronx, Queens, and Manhattan). Cobb Pediatric Therapy Services, LLC (CPT) was founded in 1989 and is the newest addition to the SSG healthcare family. CPT provides special education services in over 10 states including Alabama, District of Columbia, Florida, Georgia, Maryland, North Carolina, South Carolina, Tennessee, Texas and Virginia, advancing the SSG goal of providing services in every state. The CPT culture and corporate philosophy have resulted in multiple awards, such as Top Workplace, and ranked first out of over 1,200 companies in the category of Employee Appreciation!